For 2018-19, there is no increase in the MGNREGA wage rates of ten states. On May 1, 2016, many workers of Jharkhand returned Rs 5 to the prime minister – that year’s increment in the state’s Mahatma Gandhi National Rural Employment Guarantee Act (MGNREGA) wage rate – to register their protest at the meagre increase. On the next Labour Day, they returned Re 1 – the amount by which the MGNREGA wage rates of Assam, Jharkhand, Bihar, Uttar Pradesh and Uttarakhand increased for 2017-18. Luckily for the workers, this year they will not have to return any money. For 2018-19, there is no increase in the MGNREGA wage rates of ten states – Arunachal Pradesh, Bihar, Jharkhand, Mizoram, Nagaland, Rajasthan, Sikkim, Tripura, Uttar Pradesh and Uttarakhand. Some of these states are amongst the poorest in the country, where millions of rural workers fall back on MGNREGA when there is no other employment available in their area. But increasingly unremunerative wage rates, together with long delays in payments and denial of compensation in case of the delays has turned many workers away from the employment guarantee programme. Currently, MGNREGA wage rates of 29 states and union territories are less than their corresponding minimum wages. The gap is greatest in the Northeastern states of Tripura and Sikkim, where MGNREGA wages are only about 59% of the respective state’s minimum wage, followed by Gujarat (65%) and Andhra Pradesh (68%). The divergence between the two wage rates began in 2009, when the Central government activated Section 6(1) of the employment guarantee act to delink MGNREGA wage rates from the Payment of Minimum Wages Act. Since then, a situation of illegality is created wherein MGNREGA workers of several states are made to work at less than the minimum wage rate. As the employment guarantee act requires the Central government to bear the entire financial burden of MGNREGA wages, states are unwilling to use their own resources to ensure payment of minimum wages (with the exception of Bihar which spends some money to reduce the difference between the state MGNREGA wage rate and the state minimum wage). In 2009, the Central government also capped MGNREGA wages at Rs 100 per day in nominal terms. With steep price increases, the real value of MGNREGA wages began to fall. To arrest this decline, the government implemented the emergency recommendation of the Central Employment Guarantee Council’s “Working Group on Wages” to index MGNREGA wages to the price level by using the Consumer Price Index for Agricultural Labourers. However, it did not revise the base wages, leading to stagnation of MGNREGA wages in real terms. In 2015, the Mahendra Dev Committee recommended revising the base wages to the 2014 minimum wage rate or the MGNREGA wage rate of that year, whichever was higher. This committee also recommended switching to Consumer Price Index for Rural Labourers to adjust MGNREGA wages to the price level as it better represents the consumption basket of MGNREGA workers. This recommendation was repeated by the Nagesh Singh Committee constituted the following year to once again advise on the matter of MGNREGA wage rates (among other issues). Both times, the Ministry of Finance shot down the recommendation, presumably due to the financial implications. From 2012-13 to 2016-17, while the all-India average nominal MGNREGA wage rate increased from Rs 135 to Rs 176, the corresponding increase in the real MGNREGA wage rate was only Re 1. The real value of MGNREGA wages is further eroded by long and unpredictable delays in wages payments. 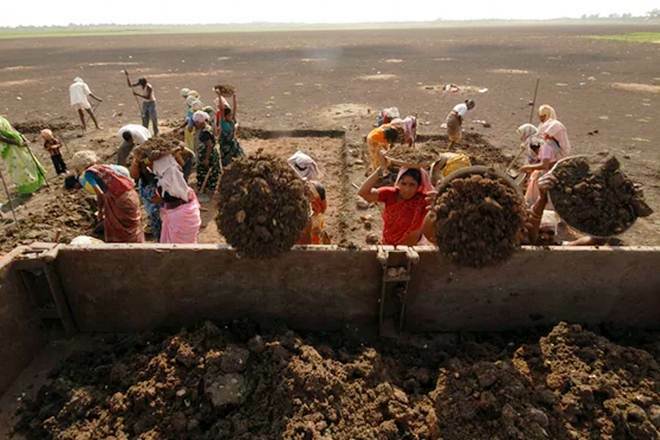 MGNREGA wages are to be paid within 15 days of the work being done. From 2013-14 to 2016-17, less than half the Fund Transfer Orders (FTOs) – electronic payment advice for MGNREGA wages – were generated and signed on time. There are no official estimates of the full extent of wage payment delays, as the ministry considers wages to be paid once the FTO is signed. Independent researchers have estimated the time taken till the crediting of wages in workers’ accounts. Based on an analysis of more than nine million wage payments made in 2016-17 across 10 states of the country, Rajendran Narayanan, Sakina Dhorajiwala and Rajesh Golani found that only 21% of the wage payments were made on time. They repeated their analysis for four million wage payments made from April to September 2017. This time they found a timely payment rate of 32% (as opposed to the official claim of 85%). Many workers do not receive their wages at all, due to reasons such as administrative lapses and fraudulent withdrawal of wages from their post office or bank account. The mandatory requirement of linking the implementation of MGNREGA with the Management Information System (MIS) of the programme and Aadhaar has engendered new reasons for non-payment of wages. For instance, mistakes in entering details such as workers’ attendance, bank account number or Aadhaar number in the MIS can cost them their wages. In case of errors in seeding of Aadhaar numbers with bank accounts, workers’ wages can get credited in someone else’s bank account. Due to poor enforcement of norms of transparency and accountability, workers are seldom able to complain in case they do not receive their wages. Redressal of their grievances is even more rare. As per the employment guarantee act, workers are entitled to compensation in case they do not receive their wages within 15 days of the work being done. The compensation amount is to be recovered from the functionaries whose lapses result in the delays. As per the initial provisions of MGNREGA, the rate of compensation was to be decided as per the Payment of Wages Act. This was later done away with and the rate of compensation was changed to 0.05% of the pending wages, per day of delay. Further, the ministry only calculates delays in the payment steps to be completed by the states, so till the FTO is generated and signed. It does not calculate delays in the steps which take place afterwards, which are the responsibility of the ministry itself and the payment agencies (banks and post offices). This has allowed the ministry to frequently withhold the approval of FTOs for weeks – even months in some cases – due to lack of funds, failure of states to comply with administrative requirements or other reasons that are not clear. The compensation amount is automatically calculated by the MIS and electronically approved by the programme officer. The bulk of the compensation is rejected by these functionaries, as approval would require them and their colleagues to pay the compensation amount. Also, only a part of the approved amount is actually paid to workers. From 2013-14 to 2017-18, only 4% of the calculated compensation was approved and only 61% of the approved amount was paid. Much of the crisis in MGNREGA wage payments stems from the government’s unwillingness to allot an adequate budget for the employment guarantee programme. The most damning evidence of this is a Ministry of Finance document of August 2017 which states that if workers were to be compensated for the full extent of wage delays, it would significantly increase the government’s financial burden. After stagnation – and even a fall – in Central government expenditure on MGNREGA from 2010-11 to 2013-14, expenditure on MGNREGA has increased over the past four years. However, this increase is only in money terms, and is just about 0.3% of the country’s GDP. Last August, the Ministry of Rural Development demanded an additional Rs 17,000 crore to supplement the initial MGNREGA budget of Rs 48,000 crore for 2017-18. The Ministry of Finance approved only Rs 7,000, that too in January 2018. As mentioned above, to ration the inadequate funds, the Ministry of Rural Development frequently delays the processing of FTOs for wage payments. This year’s MGNREGA budget is only Rs 55,000 crore – the same as last year’s total budget in nominal terms. Since the Central government failed to dilute MGNREGA through covert measures such as restricting it to the poorest districts or reducing the wage to material ratio, it has resorted to underfunding the employment guarantee programme. MGNREGA now functions more as a project to meet the infrastructural requirements of other government schemes – such as Swacch Bharat Mission, Pradhan Mantri Awas Yojana and the Integrated Child Development Services – than as a right to work programme. Legal entitlements of workers are disregarded on the pretext of improving quality of assets and curbing leakages. It is hoped that the opposition parties, media and civil society is able to expose the central government’s lack of commitment towards the most marginalised rural workers in the months leading to the next general election. 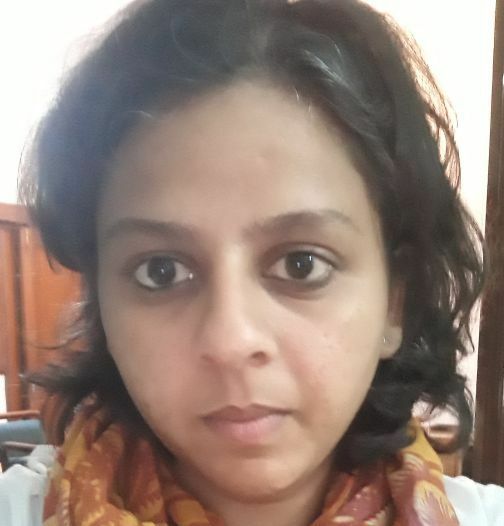 Ankita Aggarwal works with the secretariat of the Right to Food Campaign.